Point Break, Speed, Matrix…..where did it all go wrong? I tell you where – when Keanu started to choose crappy scripts and films! From within the first five minutes, it’s clear to me I want to switch the film off. But my passion for film endures and I try, through groans and tuts, to enjoy the movie or at least extract from it something memorable. But it doesn’t come. From the wooden acting, which borders on the downright amateurish (I see actors with far better depth in weekend pub theatre), to the cringeworthy script which pulls every b-movie line going, there is really very little left to recommend the movie. But then some films can stand strong simply on the strength of their visuals right? Hmmm.. There are moments of pleasure – the costumes are absolutely fantastic and the there are some really good glimpses of culture in feudal Japan, but only when done subtly. However, that’s as far as anyone can go really with some of the worst special FX I’ve seen in a modern movie. 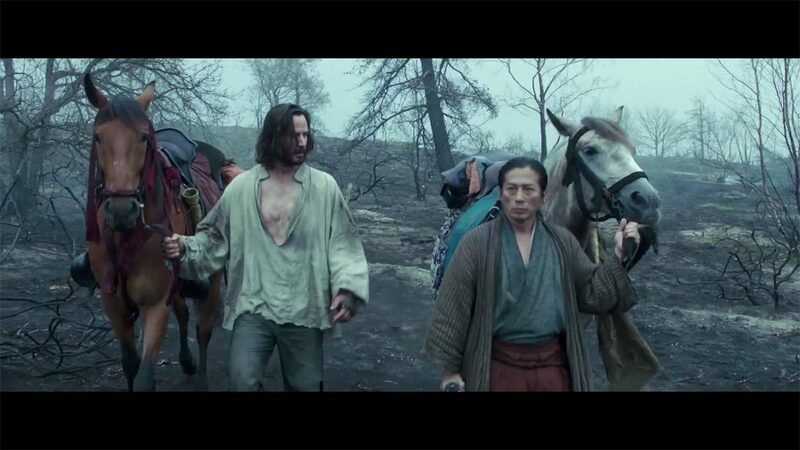 I felt the entire movie was held up not by Keanu, but by his supporting lead who performed well as an influential leader of the pack of ronin. Even then, they frequently treat the audience as idiots by explaining what should often be left to our imagination for interpretation. And would it have been so bad to have the Japanese spoken natively in favour of subtitles? I would imagine it would have had more gravity then. Shame really as I really do like Keanu. I’ve always been a fan of his and even though his last two Matrix sequels were an overly ambitious display of pretentiousness, I do allow his a lapse in performance considering he’d just experienced terrible tragedy. He’s failing to pull in the crowds and people aren’t trusting in Keanu like we used to be. Time for a new agent pal. Unfortunately, this film properly sucked. Avoid.